Gardening > How wildlife friendly is your garden? 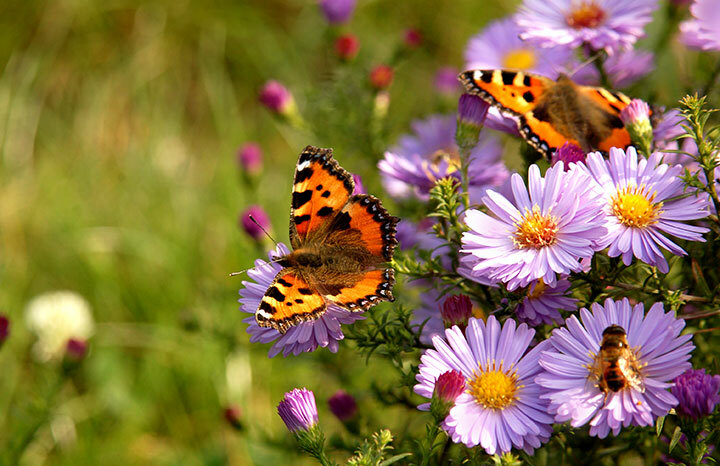 A recent survey has found that 60 per cent of homeowners make an effort to encourage minibeasts into their garden. Which is great news for all the millions of little creatures looking for a home around Britain! The study from Alfresia.co.uk found a third of us Brits have invested in things that conserve and welcome in animals, such as bird feeders, bird nest boxes and insect houses. Meanwhile, 7 per cent of those surveyed confessed to keeping chickens, whilst 4 per cent currently keep bees in their outdoor space. Over half (56 per cent) leave food for feathered visitors, whilst 14 per cent admit to monitoring the types and species of bird that visit their gardens. What's more, 57 per cent confessed to being concerned about the reported decline in the bee population, suggesting many of us are looking to do our bit to prevent similar reductions in numbers of other species. And it's those aged 55-64 who are making the most effort to conserve and promote wildlife, followed surprisingly by the 25-34 age group, as gardening and outdoor pursuits continue to see a resurgence among younger people. As for where in the country it's best to be a creature in search of a home, it turns out Oxford residents (73 per cent) and Bristol residents (69 per cent) are currently leading the way in sustaining and safeguarding wildlife. So just what can you do if you want to attract more animals to your garden and make your outdoor space a haven for wildlife?